We have played with so many models of DIY pallet racks and shelves to meet our worth need with them. To work with pallet becomes spicier when we see the budget tags and unbeatable durability. Now we are trying something new with fashionable modifications and ornaments. 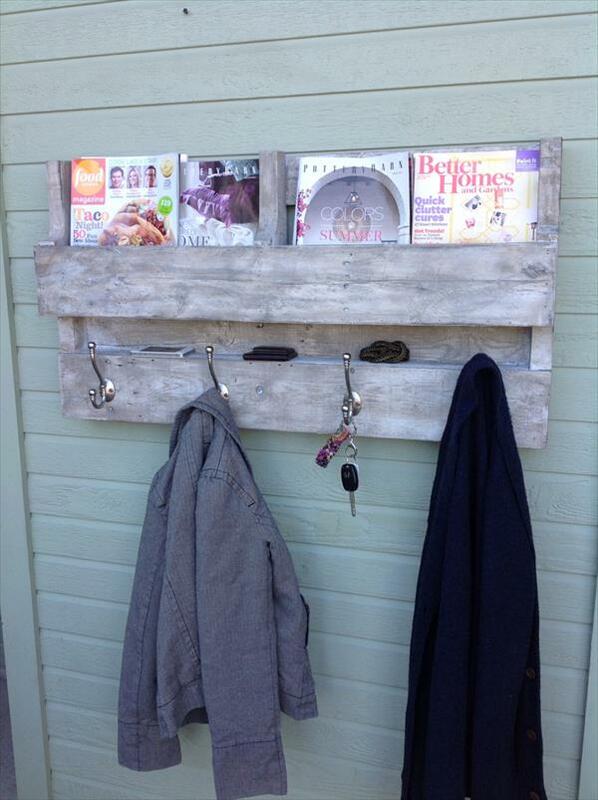 We have made a DIY pallet shelf which can easily be used as DIY pallet coat rack with some hooks attached to it. The whole model of rack is pure salvaged from recycled pallet wood. 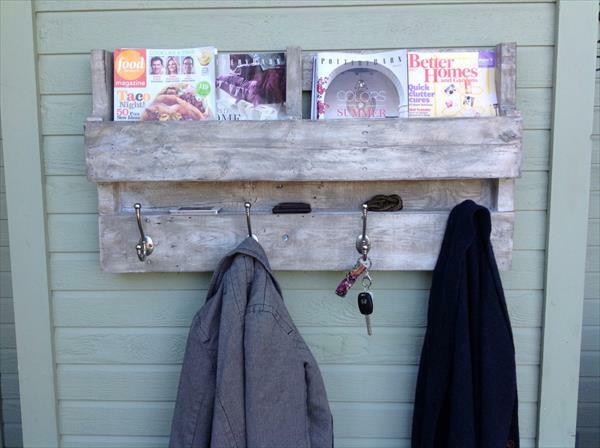 You can use this wooden pallet delight as show case for your reading books and for hanging of immediate accessories and conveniences.